This letter, from Major General J.A. 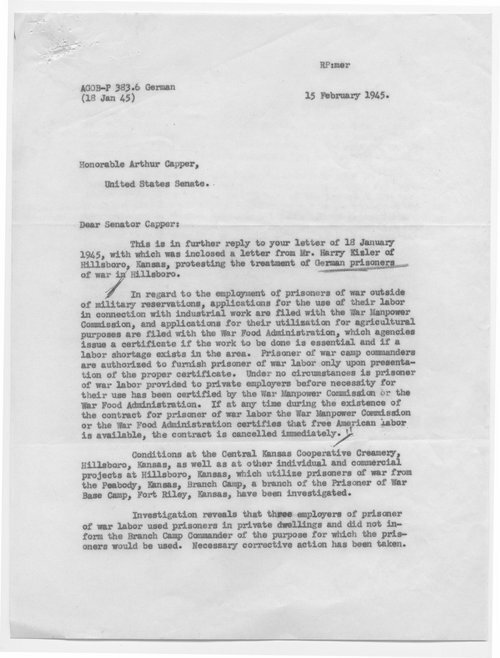 Ulio to Senator Capper, details the proper use of POW labor, as well as the government agencies in charge of their employment. Creator: Ulio, Major General J.A.